Set it and forget it. 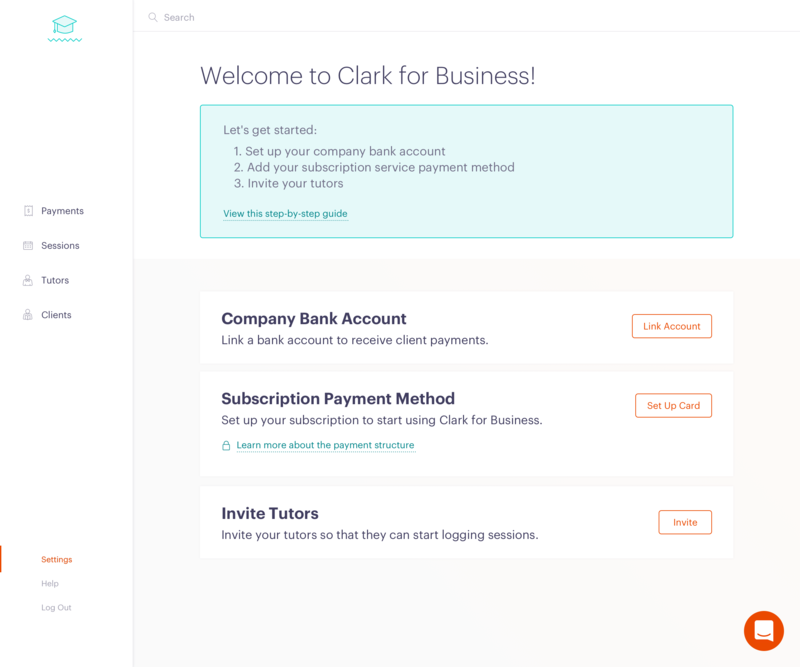 We'll automate your monthly bills. We'll ask you to set up a credit card in order to pay your monthly Clark fee. This includes your standard subscription fee and any session fees you incur over the duration of the previous month. Charges are always assessed on the first of the month, with the first month pro-rated based on when you sign up. 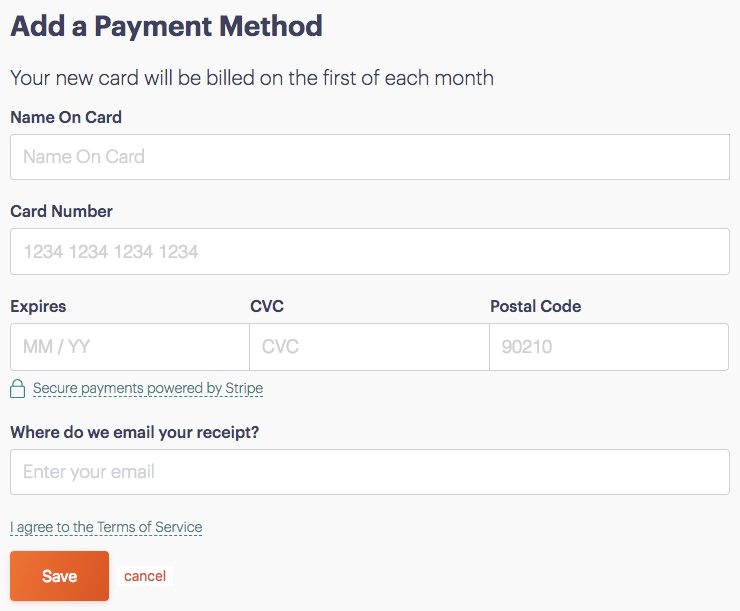 To add a payment method, select 'Set Up Card' from your Settings screen. 2. Next, enter your credit card information. 3. That's it — you can come back and update your card at any time!